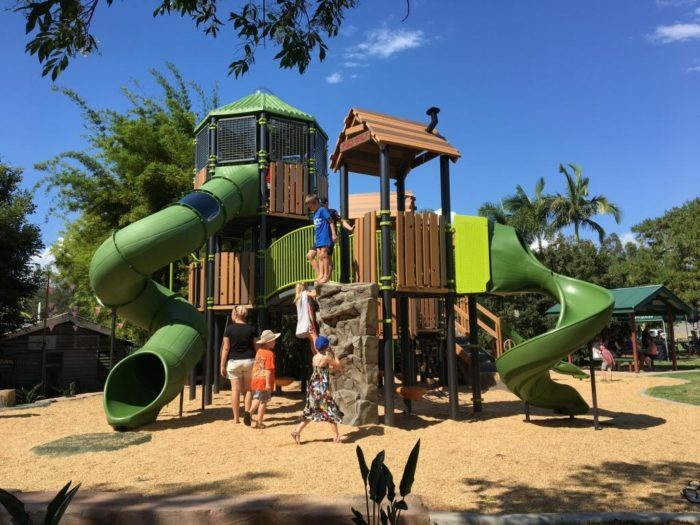 The new playground at DJ Smith Memorial Park in Canungra is open for business with a whole bunch of happy residents ready for play. 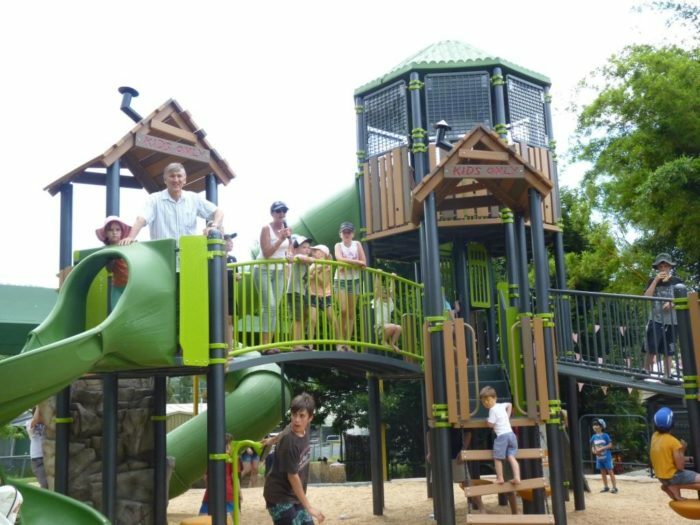 The official opening was combined with the town Christmas party, with Santa’s arrival being the only thing that could take children away from the playground. 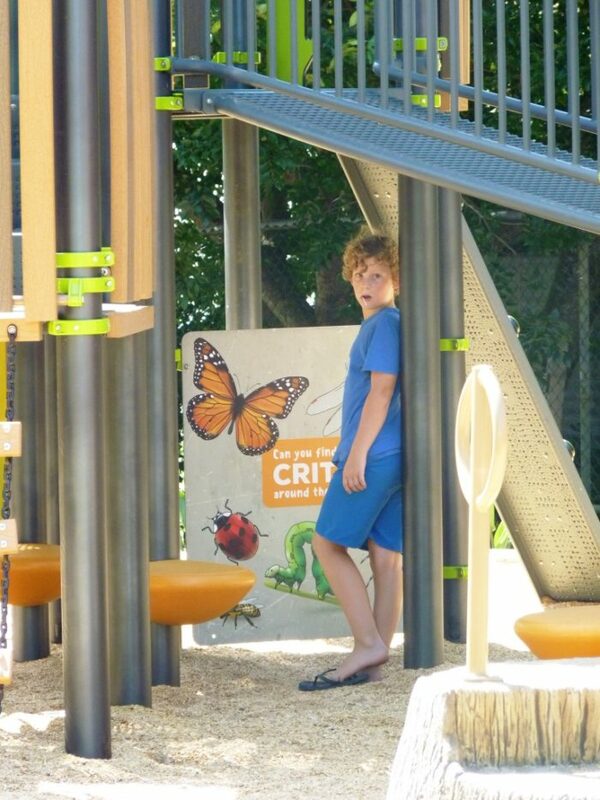 Playscape Creations designed this project with 2 key goals in Council’s brief – the first to provide a tall structure that would draw passers by to the playspace, and the second to create something for all ages that blended into the natural environment – and the end result we feel is a success on both fronts. 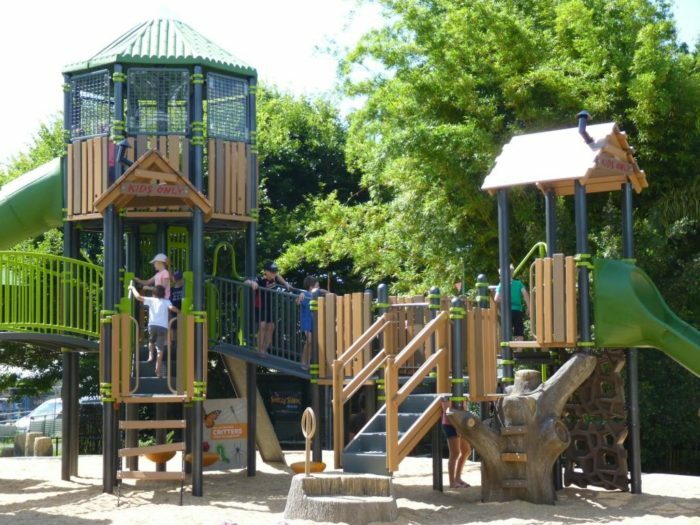 This new playspace is sure to attract tourists who pass through the town, with its striking presence and play value for a range of ages and abilities, and in turn supporting the commercial aspect of businesses in the town. 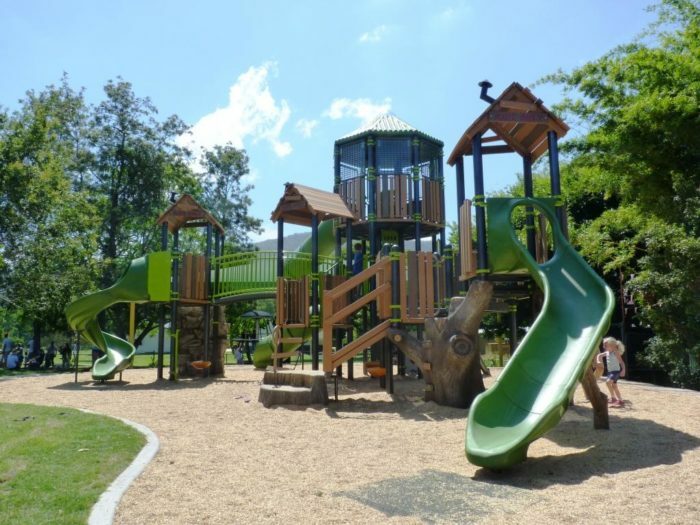 The park is also adjacent to the school grounds, so we’re quite sure parents are going to have to allow a little extra time on their school pickups for play! 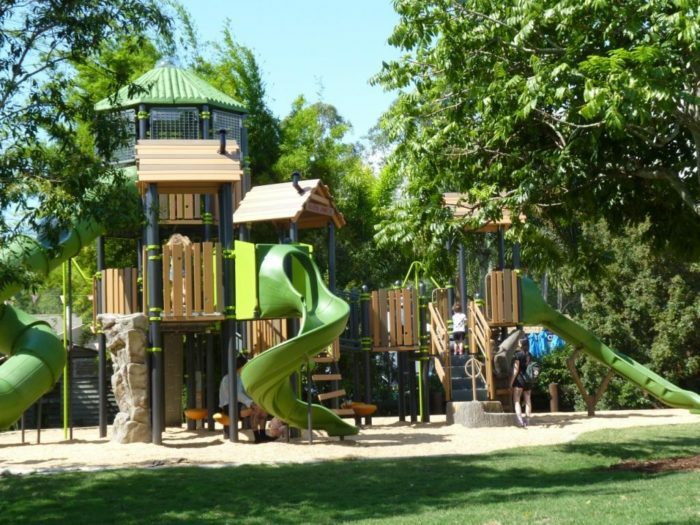 Hopefully it’s not too hard to get the kids home! 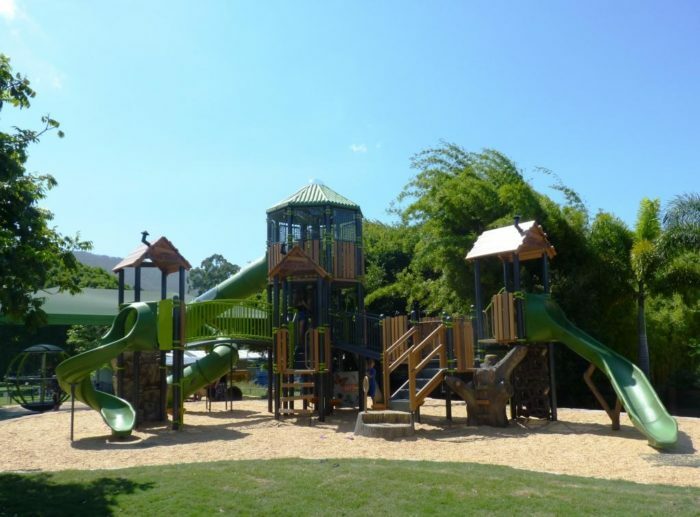 Surrounded by mountains and native bushland the setting leant itself to a nature inspired theme, paying homage to the beautiful mountains and trees of Canungra. 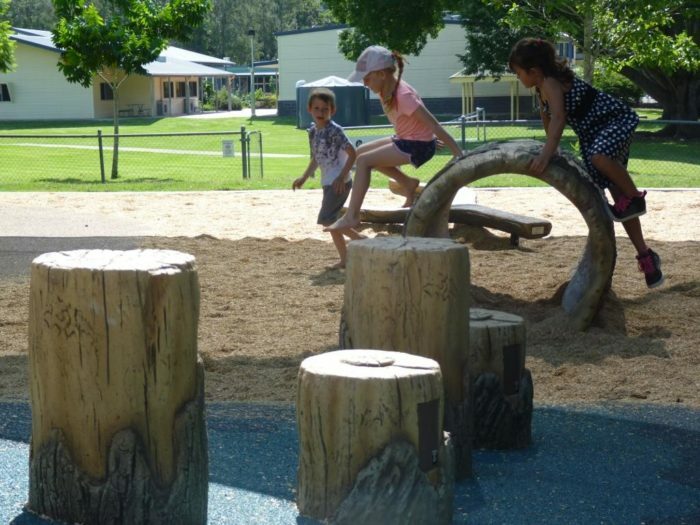 This playground features nature inspired systems with creature features embedded into the glass fibre reinforced concrete with the look and feel of real rocks and bark. 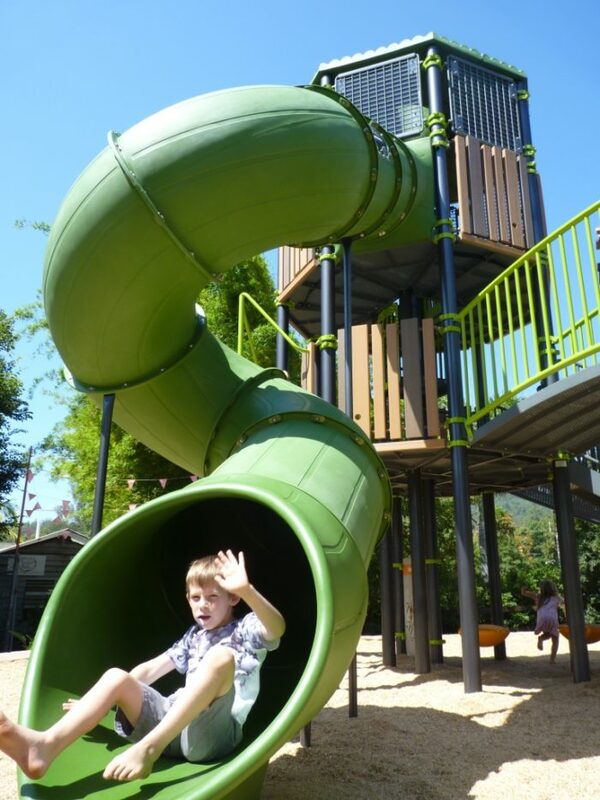 A whole range of climbers create varied challenge, and a multitude of slides make the exit routes swift and fun. 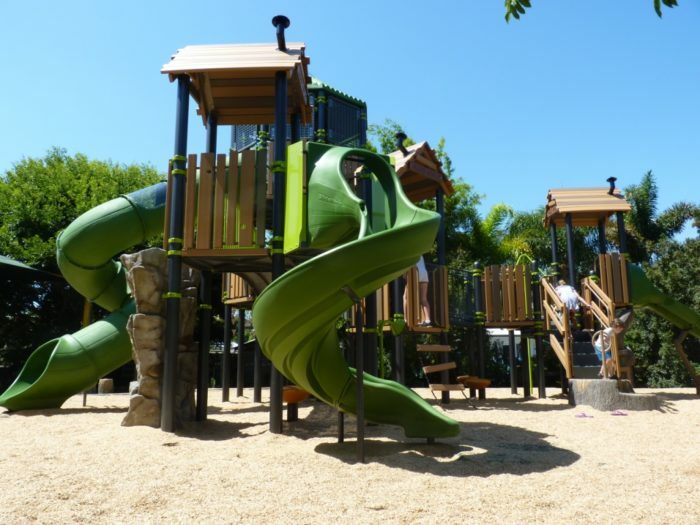 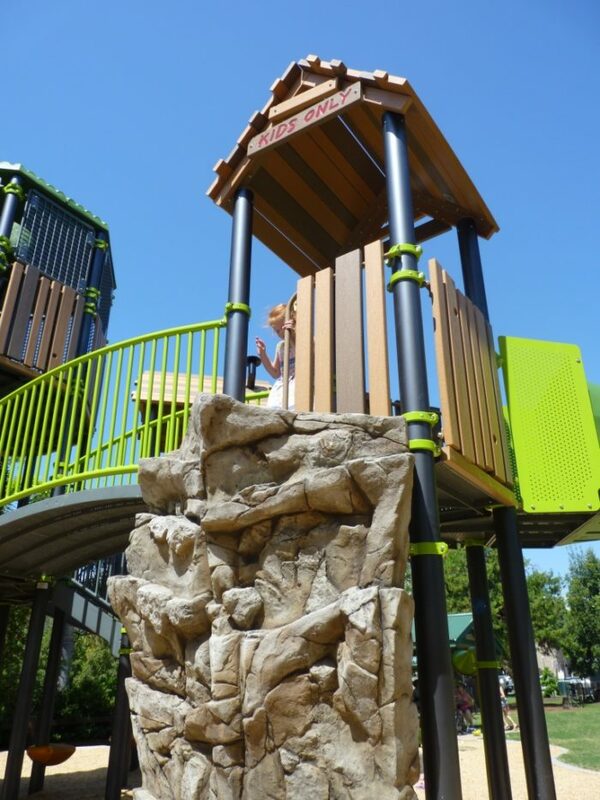 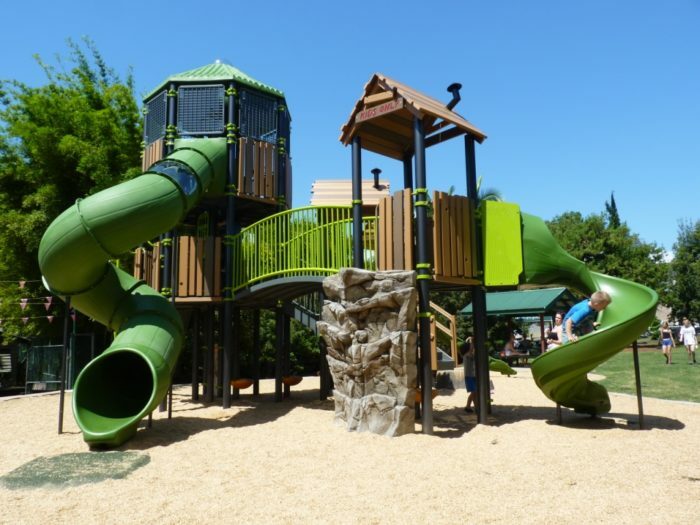 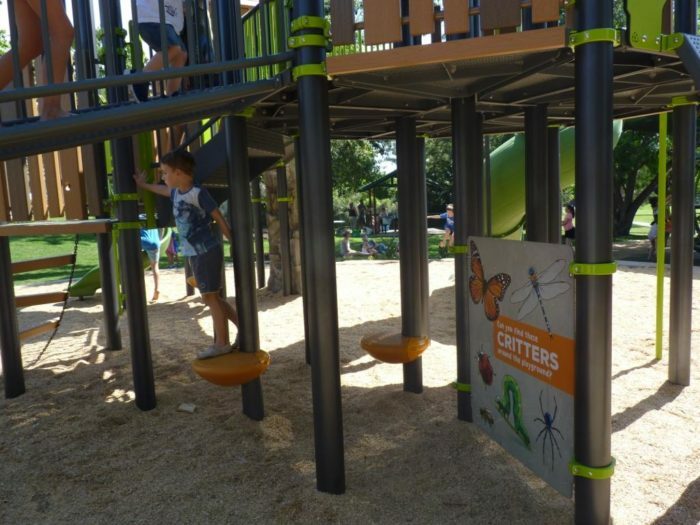 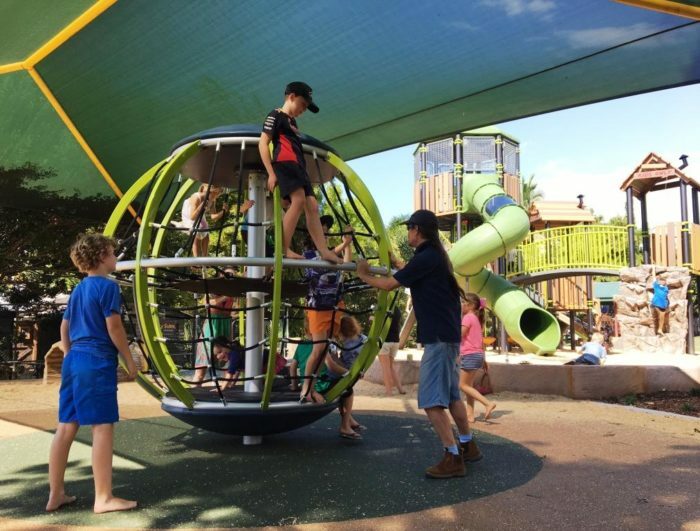 There is a discovery panel at ground level with a seek and find treasure hunt to find the various medallions interspersed around the play structure – adding another play dimension to the playspace. 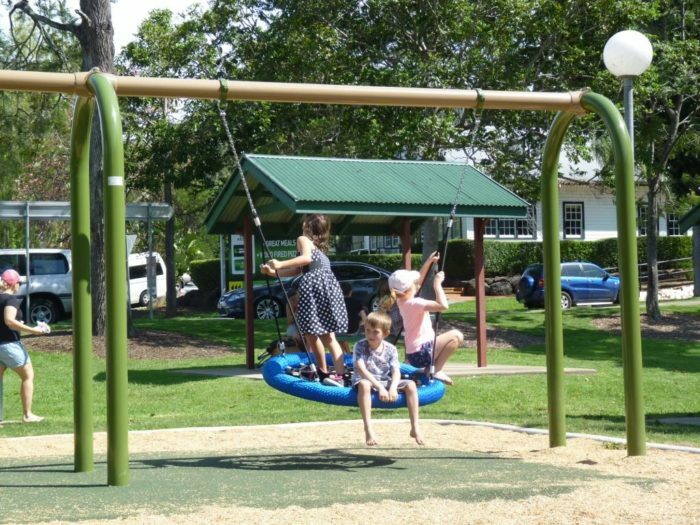 The 2 bay swing has a range of seating options for children of all ages and abilities, including a multi user team seat and supportive harness seat for children with limited upper body strength. 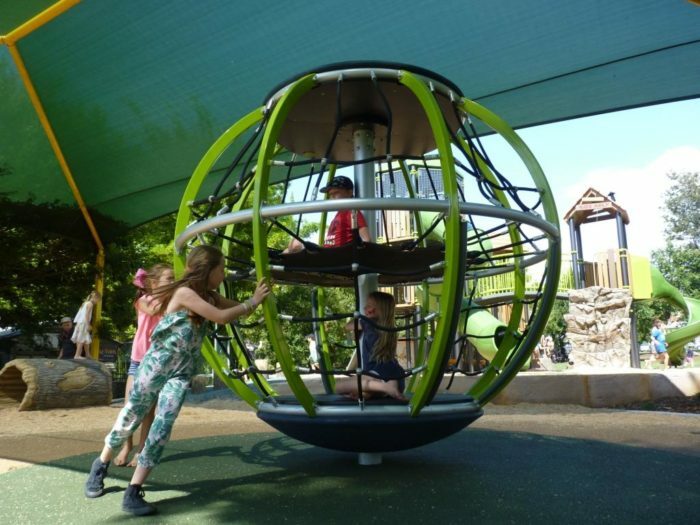 There is plenty of discovery, challenge, excitement and activity throughout, and to top it all off, the inclusion of the Global Motion provides spinning and climbing fun for all abilities, making this a truly inclusive playspace.